If you have reached this point in your car buying process, we are glad to have you here! 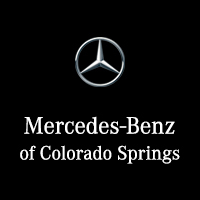 Purchasing a vehicle from Mercedes-Benz in Colorado Springs comes with many steps and we hope to provide you with fewer steps to get you the car you want. Mercedes-Benz can offer you unbeatable financing options to help get you the vehicle you need today. To help you better calculate your desired monthly car payment, use the car loan calculator below and make selections as instructed. Once you have successfully chosen a reasonable car payment, Mercedes-Benz can help you get started on purchasing your new Mercedes-Benz! For other questions about financing your next Mercedes-Benz vehicle, call or visit us at Mercedes-Benz in Colorado Springs. We will help get you the car you need. You may also view our inventory of new Mercedes-Benz vehicles such as the highly sought-after 2017 CLS!